It’s that time of year again. It’s time for Happy Harry Potter over at Raegun Ramblings. In the past few years I’ve whipped up these fun Harry Potter Iron-on Transfers which are now for sale in the Beatnik Kids shop as well as last year’s Gryffindor Password T-shirts. This year, I thought I’d take our love of Harry Potter into the decor realm with this fun, DIY Harry Potter Flower Pot. Before I show you how easy this DIY Harry Potter Flower Pot is, I want to take a moment to make note of literary accuracy. I think those of you with an obsession with the Harry Potter books will agree that book inspired projects should always be accurate. Don’t get me wrong. I love the Harry Potter movies but it’s always grated on me a bit that they chose to ignore certain character traits that are paramount to the story. 1). Harry has BLACK hair and 2). Harry’s eyes are GREEN. So, with this point clearly in my mind, I set off to create an accurate Harry Potter Pot. I did choose to leave off Harry’s beautiful green eyes but if you’re going to paint them on, please use GREEN! Here’s what you need to make a painted Harry Potter flower pot. Now we’re ready to paint. Paint the bottom portion using peach or light tan paint. Using the pencil, draw a “forhead” shape and use the same color to paint it in. Paint even, alternating stripes on the saucer. You can measure and mark with a pencil before painting. Once the “skin” is dry, use black paint to paint the lip of the pot to create the hair. Using the pencil, draw a jagged “hairline” to the left and right of the “forehead section. Then fill in with black paint. Use the pencil to lightly draw the glasses and lightening bolt shaped scar. Use black paint or a Sharpie marker to trace and fill in. If you are going to use your pot outside, go over the entire pot with a thin layer (or two) of Outdoor Mod Podge. Fill with potting soil and your favorite plant and you have your very own DIY Harry Potter Flower Pot. I love how this one turned out, but now I’m thinking Harry looks lonely so I’m planning to paint a trio. Next to come, Ron and Hermione! 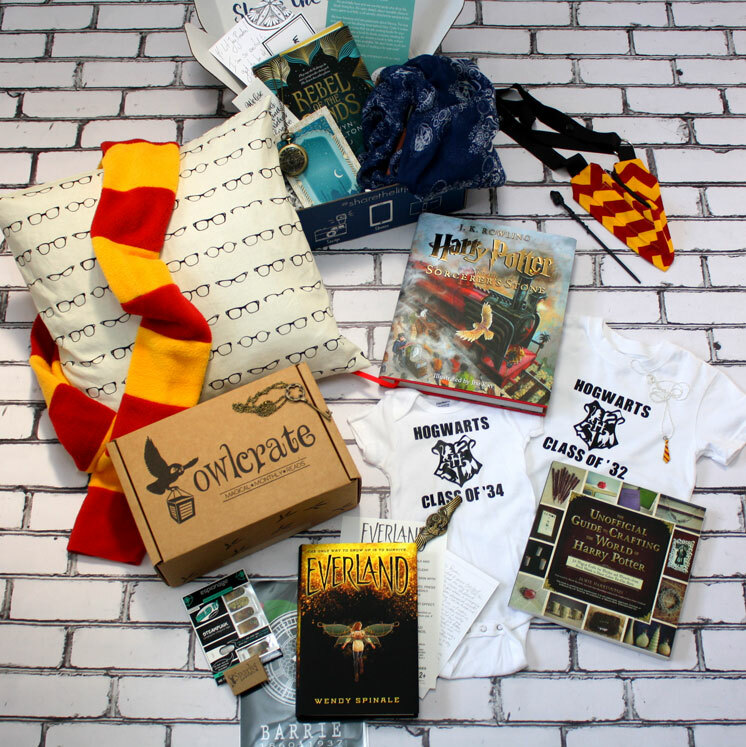 Enter below for your chance to enter the A-MAZING giveaway Marissa’s got going on in honor of Harry Potter’s Birthday! This is awesome sauce. I love this series so much and can’t wait to share on Friday! Ha! Get a wee little cactus or succulent. They’re almost impossible to kill!